Hi everyone! 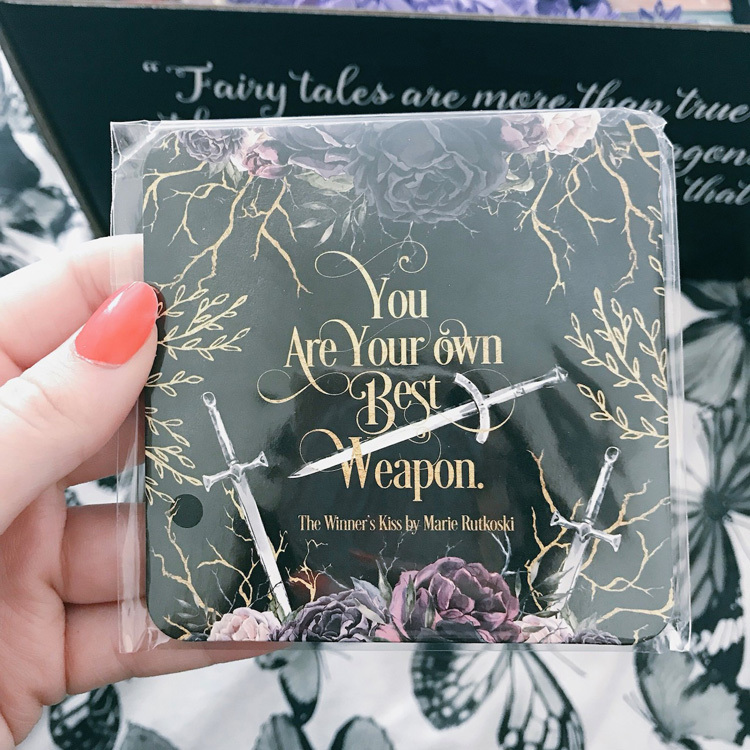 Today I’m here to share with you an unboxing of the May Fairyloot box. I love these boxes because YA Fantasy is one of my favourite genres and these boxes are also always rammed full of goodies. May was another great month for goodies! 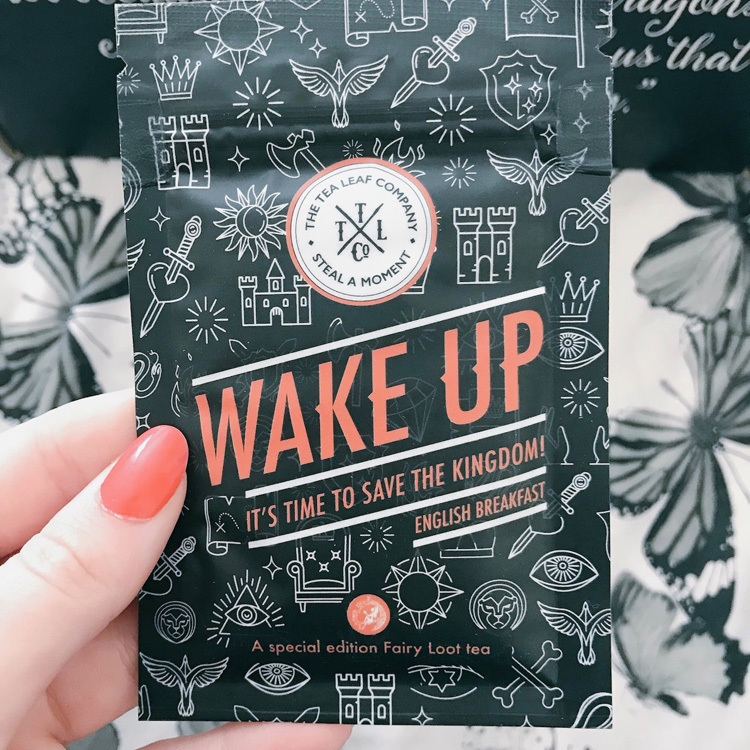 The theme for May’s box was Save the Kingdom and I had no idea what the book would be. I usually find that I can either easily guess the book or I’m the complete flipside and have NO idea. Well it’s safe to say that I was clueless when I went into this box! 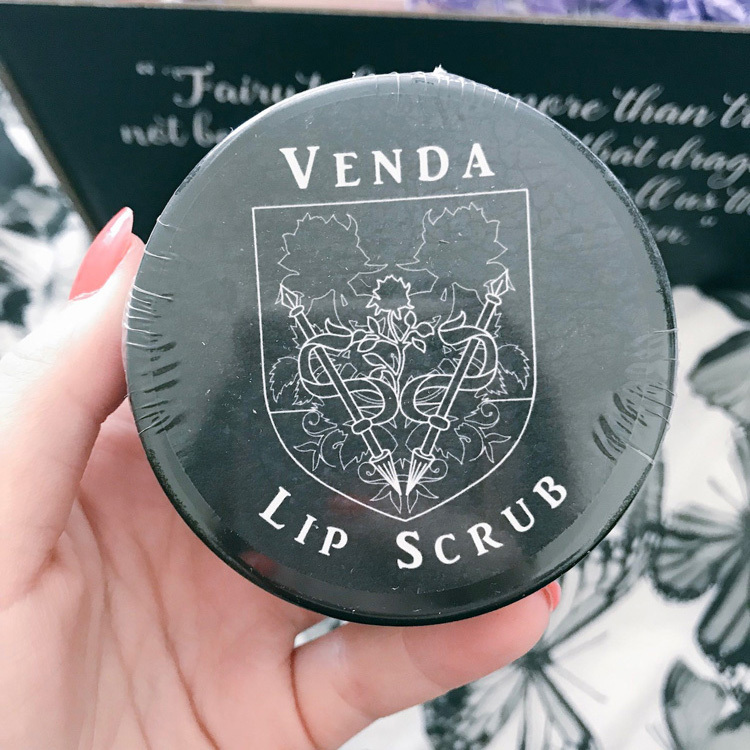 The first item I pulled from the box was this exclusive lip scrub designed by Geeky Clean. I love receiving their products in boxes and I’ve never tried a lip scrub before so I’m interested. Next up was the most unique and intricately designed bath bomb I’ve ever seen. This gorgeous castle bath bomb was designed by Little Hearts Gifts and it’s so pretty I’m not sure if I can ever use it! 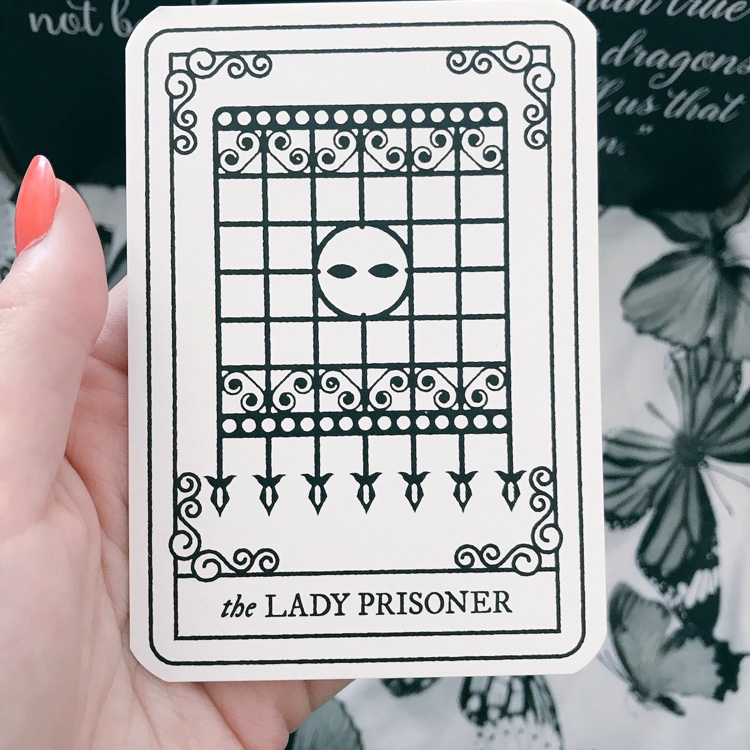 Then I found this gorgeous Legendary inspired tarot card. I really liked Caraval last year and I’ve been looking forward to reading Legendary, I think from the hidden covers this one is my favourite so I was really pleased to have it! The Winners Trilogy is still on my TBR but I adore this exclusive coaster designed by Evie Bookish. The quote is really inspiring and it looks great on my desk. 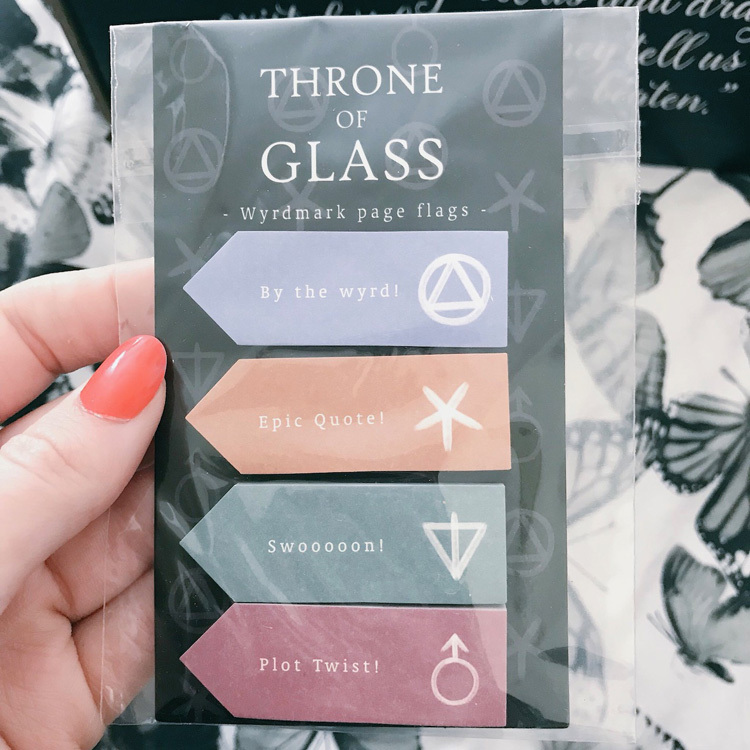 Another fandom I’ve not read anything from however I am a big lover of all things stationary and these page markers are really pretty! They were designed by Fictiontea Designs. The next item is one that I probably won’t use as I’m not a particularly big fan of loose leaf tea but this English breakfast tea is from The Tea Leaf Co. 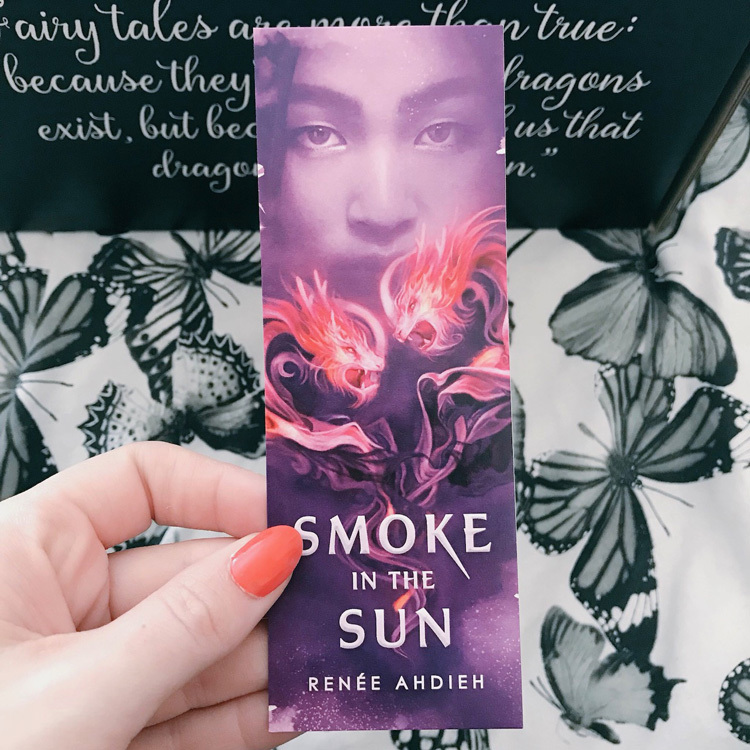 I do love a good bookmark and this one has the most gorgeous colours. It also reminded me that I need to read Smoke in the Sun soon! 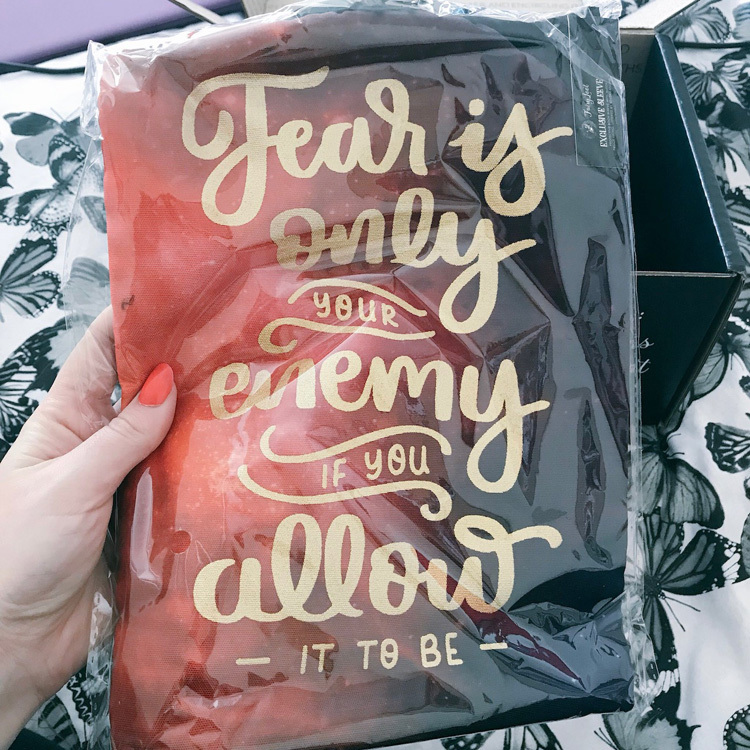 My favourite item from this month’s box was this gorgeous (and HUGE) booksleeve which was designed for FairyLoot by Reverie & Ink. This one is big enough to fit a hardback in and it’s really thickly padded so I know it will keep my books safe. The book for this month was the gorgeous Onyx & Ivory by Mindee Arnett. I have seen LOADS on social media about this book and it was on my TBR so I was really pleased to get a copy. Especially a copy with exclusive black sprayed edges. They really do look gorgeous! Have you read Onyx & Ivory? What did you think? Is it on your TBR? The bathbomb and the sleeve both look so well designed! And the tea sounds good (can’t believe you don’t like breakfast tea though?!). I’ve seen a lot of people talking about Onyx & Ivory on social media too, but I don’t know much about it so I may have to look it up on Goodreads. Great unboxing! I love the coaster – it matches the one from the box last year with Forest of a Thousand Lanterns, I hope there’s eventually a full set.